Longview, Texas is undeniably one of the most beautiful parts of the finest state in our nation. Longview has grown quite a bit in recent years and during this growth, Keep Longview Beautiful has worked to preserve and enhance the quality of life in our community. We are a strong, nonprofit organization focused on helping citizens understand waste reduction and environmental stewardship. Passion drives us, vision and commitment to the East Texas region keeps us moving forward and hard work sustains the Board of Directors of Keep Longview Beautiful! Did you know by simply improving the area around your business or neighborhood you just added value to our community? How does your company envision their environmental footprint? Does your civic group, church or school have a grand, green space idea or thoughts on a litter reduction strategy? Projects as easy as cleaning up an area, planting trees or urging folks to recycle are simple solutions to heighten quality of life in Longview. 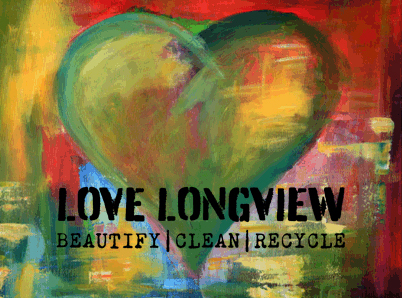 Keep Longview Beautiful can assist with funds for your grand enhancement. Let us help you show your LOVE Longview spirit! During the past five years, Keep Longview Beautiful has proudly given $20,000 to various groups through Community Improvement Grants and in 2019 we will be awarding $4,000 in new funds. Projects must align with at least one of the three components of Keep Longview Beautiful’s mission statement: litter prevention, beautification or waste reduction. Applications will be reviewed within 90 days of submission and grants are awarded on a first-come, first-serve basis. Project must be for community improvement in Longview, Texas. Project must demonstrate long term operational and financial sustainability. Grant monies are not eligible for salaries or paying off debt. Update reports are due to your Keep Longview Beautiful liaison every 90 days from the day grant is awarded. A final wrap up report is due one year after grant is awarded. Strong leadership is mandatory. Two responsible adults must be associated with all projects. If your group is composed mainly of youth, it is a requirement to have two responsible adults associated with the project. *By submitting this form, you agree and ensure that the two adults listed in the above fields, will be responsible for this project. Upload your sketch file using the next field. You can only upload one file. Accepted file formats: JPG, PNG, or PDF. Maximum file size allowed is 8MB.